Founded in 2000, BreadTalk is a distinctive, award-winning Singapore brand that has gained international appeal. It is renowned for the way it has revolutionized the culture of bread consumption with its visually appealing and creative products. 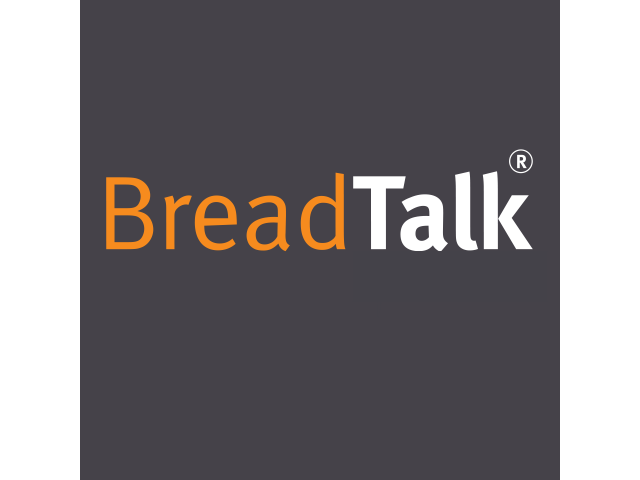 BreadTalk has earned both industry and consumer recognition for its brand efforts. Its international brand accolades include its success at the prestigious World Retail Awards in 2014 in Paris; and clinching its first win at London-based World Branding Awards for ‘’Brand of the Year’’ in the Bakery Category in 2015. Other wins include consecutive accolades in the ‘’Five Star Diamond Brand Award’’ by the World Brand Laboratory in Shanghai, and it was voted by consumers as their ‘’Top Brand’’ for Franchise and Bakery categories by the Influential Brands Awards in Singapore from 2013 to 2015. BreadTalk’s chain of boutique bakeries spreads across a network of 16 territories, and it operates close to 800 outlets across key markets such as Singapore, Mainland China, Hong Kong, Indonesia, Thailand, the Middle East and now in Myanmar!